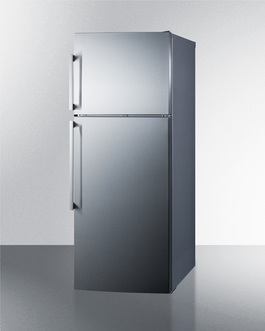 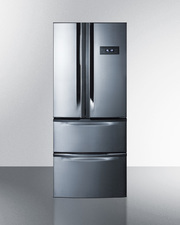 SUMMIT carries one of the industry's most extensive lines of ENERGY STAR certified frost-free refrigerator-freezers in unique counter depth footprints for apartments and smaller kitchens. 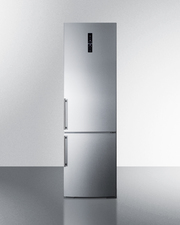 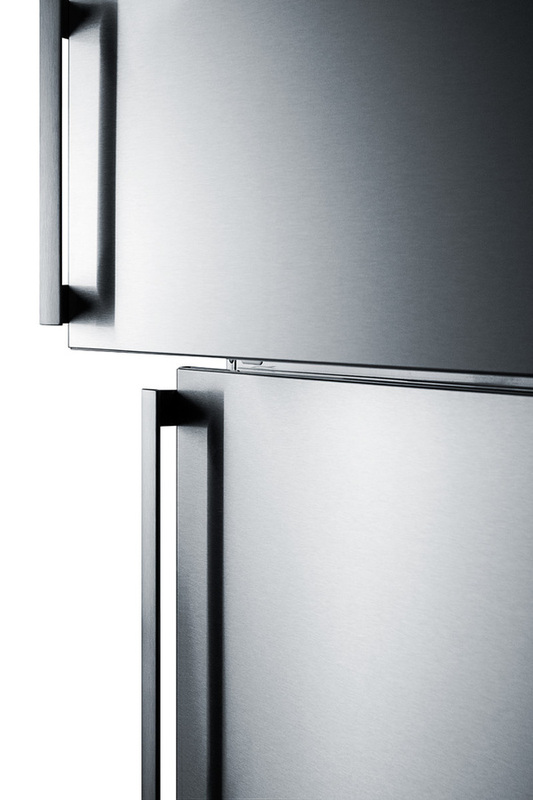 Made for us in Europe, the FF1511SS comes with an attractive platinum cabinet and reversible stainless steel doors. Designer style handles complete the modern look. 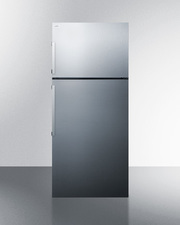 At less than 26" deep, it offers a generous 13 cu.ft. 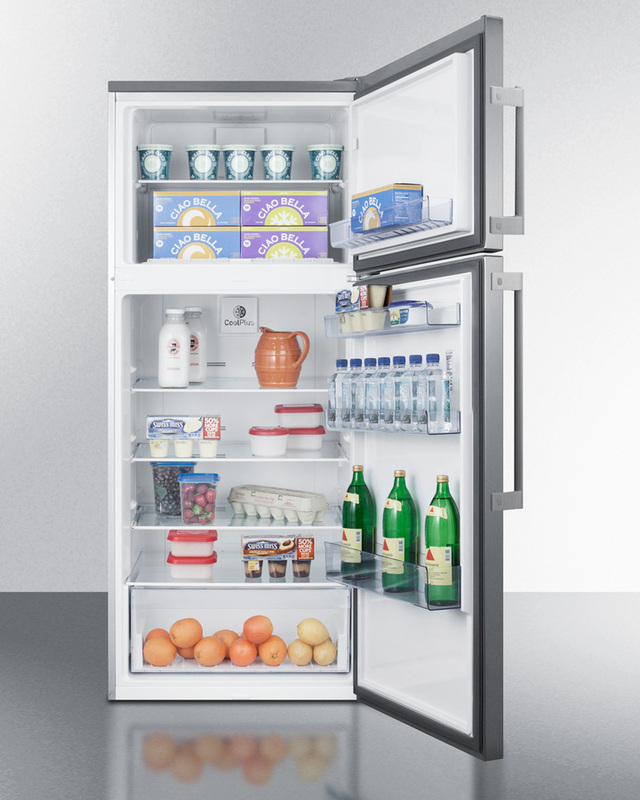 capacity for maximum storage in a convenient fit. 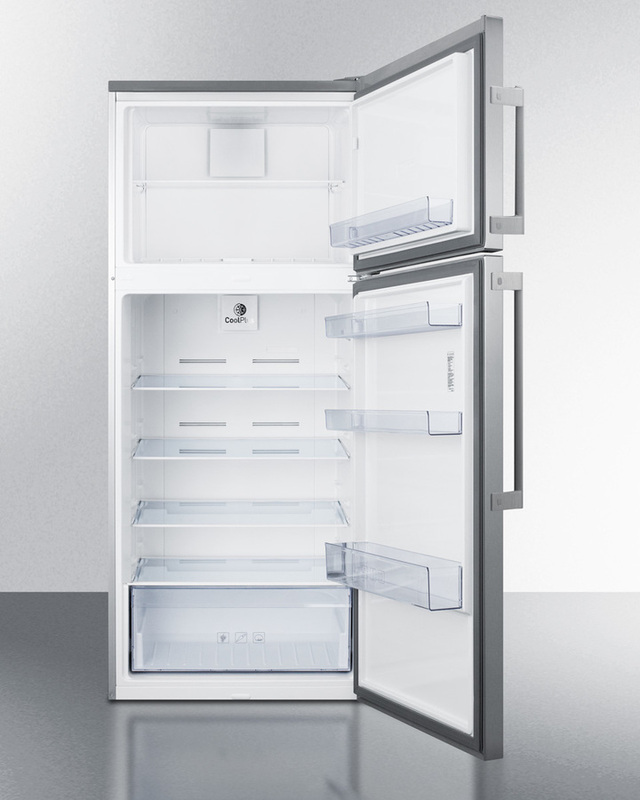 Inside, the FF1511SS utilizes frost-free operation for minimum user maintenance and a dual evaporator system for improved cooling. Adjustable glass shelves offer spill-proof storage while multiple door racks are ideal for keeping condiments in easy reach. 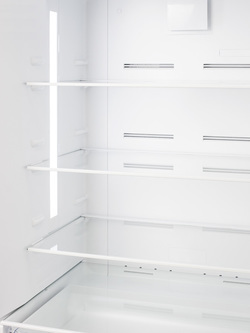 A large clear crisper drawer is included for optimum produce storage. 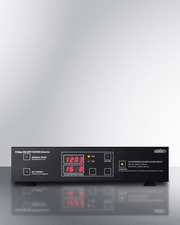 Additional features make the FF1511SS a user-friendly choice. LED lighting in the side walls of the refrigerator offers an efficient and attractive view inside. 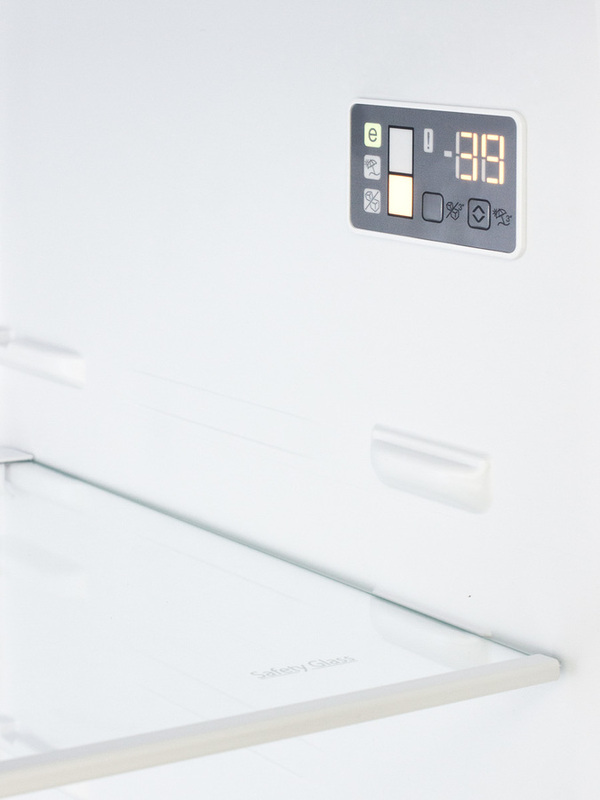 This unit includes an innovative touch control system that lets you manage the refrigerator and freezer temperature with an intuitive digital thermostat. 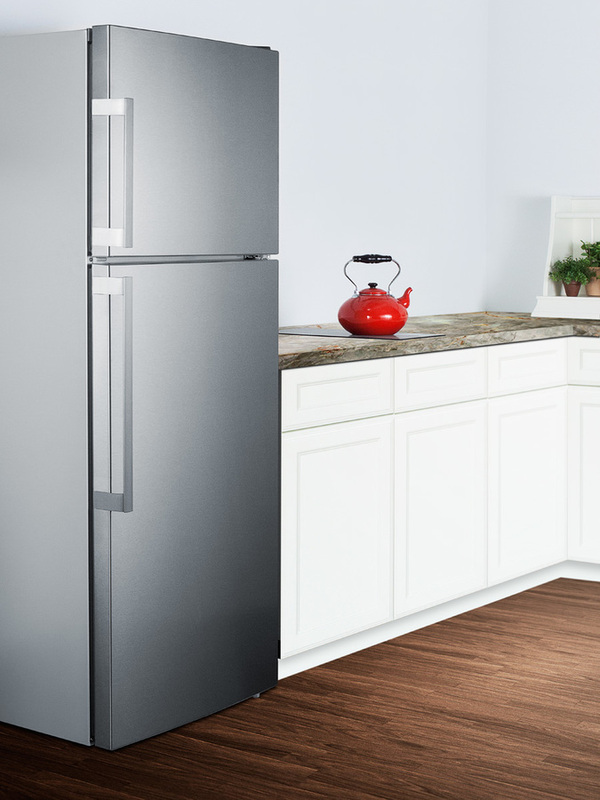 For added energy savings, it features a vacation setting. 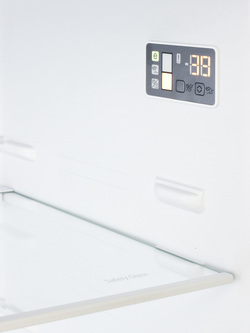 The open door alarm alerts with an audio and visual signal when the door is left ajar for over one minute. 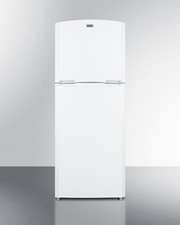 The FF1511SS is ENERGY STAR certified to ensure an efficient and low cost performance. With its professional style, unique size, and innovative features, this model is a great choice for smaller kitchens with full storage needs. 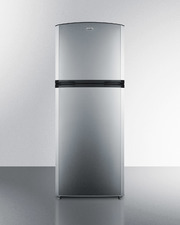 For this unit with an icemaker, see the FF1512SSIM. This unit has been designated as one of the Most Efficient ENERGY STAR certified products in 2016.